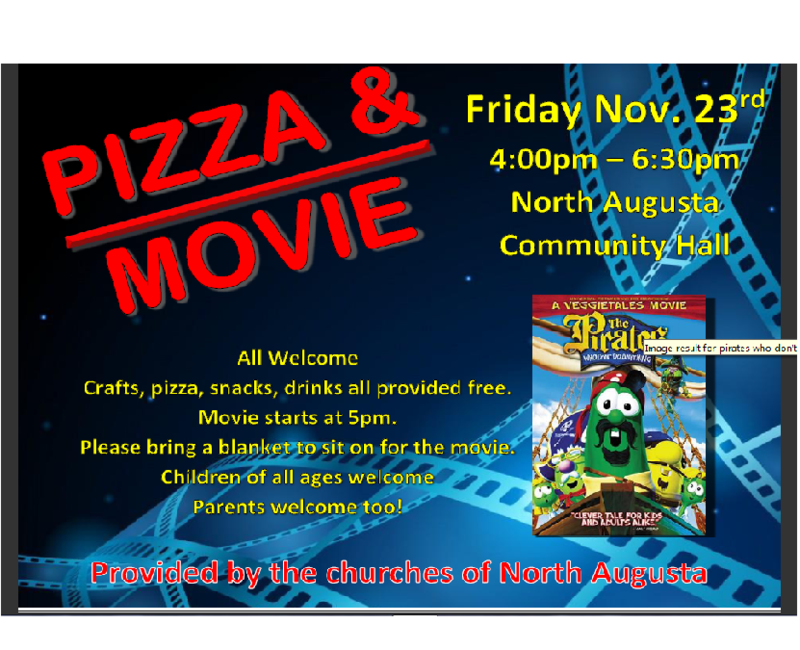 Join us on Nov 23 at 4:00pm at North Augusta Community Hall. We will be having a movie and pizza night. The movie being shown will be the Veggie Tales ‘The Pirates Who Don’t Do Anything’. Everyone and all ages are welcome.